Are you a fan of the subscription box trend? Looking for a fun way to find a new read? Committing to read more in 2019? We're here to help! Request a "Book Box" - a tote filled with surprise books and other goodies - at any time. The books are due back to the library in four weeks (and may be renewed if no one else is waiting for them), and the gifts - including the bag - are yours to keep! 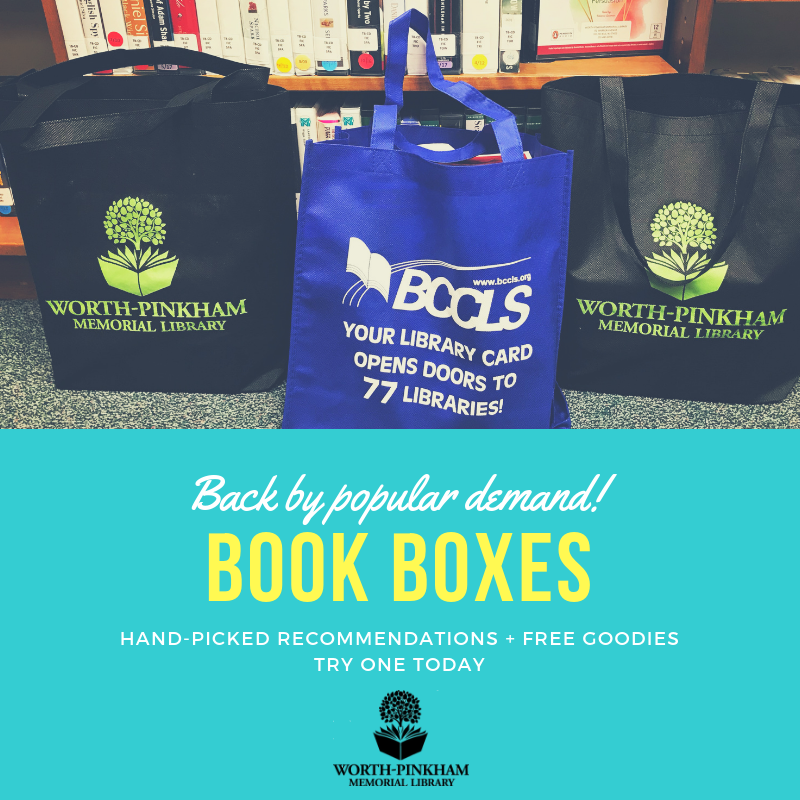 Book Boxes are the perfect solution if you're trying to expand your reading horizons or don't have time to spend comparing lots of book options. To get started, simply fill out our brief questionnaire with some information about what you're looking for. A staff member will email you when your Book Box is ready (usually within 1-2 business days).